Mariah Carey, Randy Jackson and Nicki Minaj shown in this photo won’t be returning for Season 13 after Carey and Minaj announced they will be leaving the show recently. 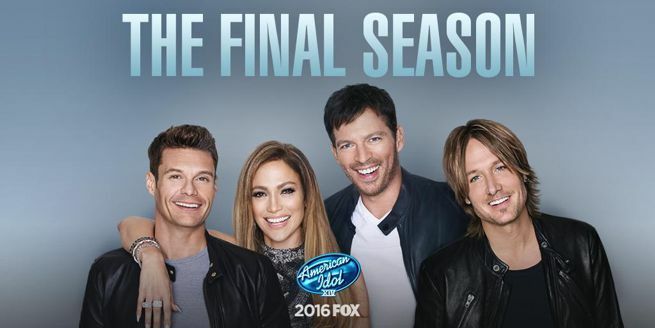 Rumors were swirling around that all four American Idol judges would not be returning for Season 13, before the end of Season 12, but it looks like those rumors are coming true. Mariah Carey and Nicki Minaj have announced they won’t be returning, while Randy Jackson had announced he was leaving the show before the finale. We may never know if the producers told the three judges, that they were leaving the show and gave them a chance to make it look like they were leaving on their own volition. Keith Urban is the only remaining American Idol judge who has not announced that he is leaving the show as his status is uncertain. Keith Urban may also be leaving the show, but no announcements have been made to that effect, that I am aware of at the present time. He has stated that he has no idea, if he will be returning or not as recently as yesterday. Urban may be retained if only because of monetary reasons, since he only earned $5 million as a judge last season, while Mariah Carey earned $18 million for her stint as a judge, while Nicki Minaj collected $12 million for her time on the judging panel. The falling ratings for American Idol in Season 12 apparently have the producers going in another direction as they choose their Season 13 judges. Plus, they don’t want a repeat of the Carey-Minaj feud, which was a major distraction last season. Fans tune in the show to hear the contestants and don’t want to see a feud between two of the judges. Jennifer Hudson could be first former American Idol contestant to become a judge on the show. Jennifer Hudson’s name has been mentioned as a possible judge on American Idol for the Season 13 season. We could even have a judging panel of all former American Idol. She is reportedly in negotiation to sign on with American Idol. Other names mentioned as possible judges are Kelly Clarkson, Adam Lambert and Clay Aiken. This article says Urban will not be returning, but have yet to have seen an official announcement on his leaving. 17 million fewer viewers tuned in for the 2013 finale, compared to 31 million viewers watching the 2008 finale. The 14 million viewers this year saw a drop of 15 million viewers since 2011. It will be interesting to see who comprises the Season 13 judging panel, but it is incumbent on the producers, to reverse the downward trend in the ratings. The ultimate sign that the show is not drawing well as in the past, is when Duck Dynasty a A&E cable network reality show recently attracted more viewers, than American Idol in the 18-49 demographic. Candice Glover is the new American Idol of Season 12. It has been evident since the Final 10 were chosen by judges, that Candice Glover was the best singer among those singers in the Final 10. American Idol fans confirmed that she was the best, by choosing her as the new American Idol for Season 12. The only surprise would have been if Candice had not won. Kree Harrison finished second and Angie Miller was third in Season 12. I look for Kree and Angie to have successful careers, but Candice should have her first album released long before either of them, since her album should be in stores for months, before Kree and Angie release their albums. The producers are smart to release the first album of Candice much sooner than usual. Most albums by the current American Idol are not released till November, so the summer release will let fans of Candice have her music, in their MP3 players and phones sooner rather than later, plus many albums should be sold on the American Idol tour this summer. There were many guest artists on the finale, but none of them came close to matching Frankie Valli and him singing with the five guys on I Can’t Take My Eyes Off of You and Grease. Valli commanded the stage like giants of entertainment do when they enter the spotlight. Valli turned 79 earlier this month and was born a year before Elvis Presley. Valli has been singing since 17, which was 62 years ago. Aretha Franklin also sang but her singing didn’t have the impact of Valli, since she was singing from New York, but she sang some of her biggest hits, which were received well by the audience. It was great to see Candice become the first girl to win American Idol since Jordin Sparks won in Season 6. Randy Jackson said his goodbyes to fans of American Idol last night. He is the only one of ten judges to remain with the show the first twelve seasons. Latest rumors say that the other three Idol judges could be leaving too, but it could be several months, before any changes to the judging panel will be announced. There are even some reports that the show could return to a three judge format. It is too early for ratings results for the finale, but it is almost a foregone conclusion that the ratings will be the lowest for any finale in the 12 year history of the show. The Voice Season 4 will be ending soon, then Season 5 of The Voice will return in the fall along with Season 3 of X-Factor, so three music competitions will end before American Idol returns in January.